on our first night, we headed to dinner at mala ocean tavern, located right on the water. our cab driver told us we could have seen sea turtles hanging out in the ocean if the time of year had been right. it was not. boo. anywho, mala is all about "small plates, organic whenever possible, whole grains, no preservatives, no hydrogenated oils & everything in proportion." perfect. 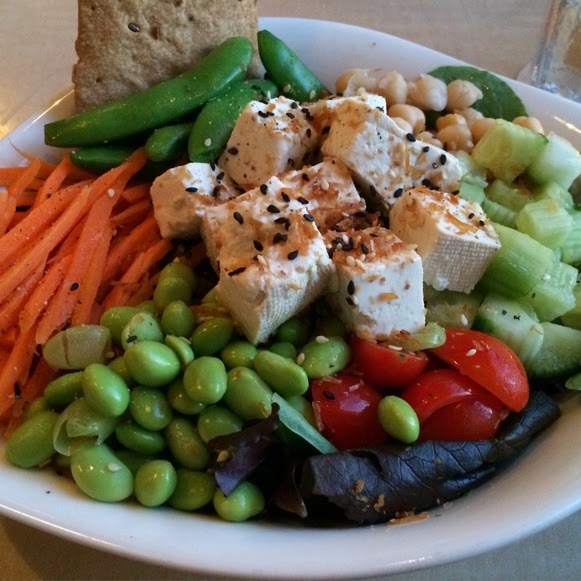 kula baby greens, tofu, brown rice, sugar snaps, tomatoes, chickpeas, cucumbers & coconut peanut sauce. a clearly labeled vegan item on the menu. that's what i like to see! this salad was delicious. all super fresh ingredients, great flavor ... i saw this dish at a couple different restaurants throughout out our trip -- but i only tried the one from mala. since it was so good, i didn't want to ruin the memory with something worse. sesame seeds, fresh mint & crispy wontons. 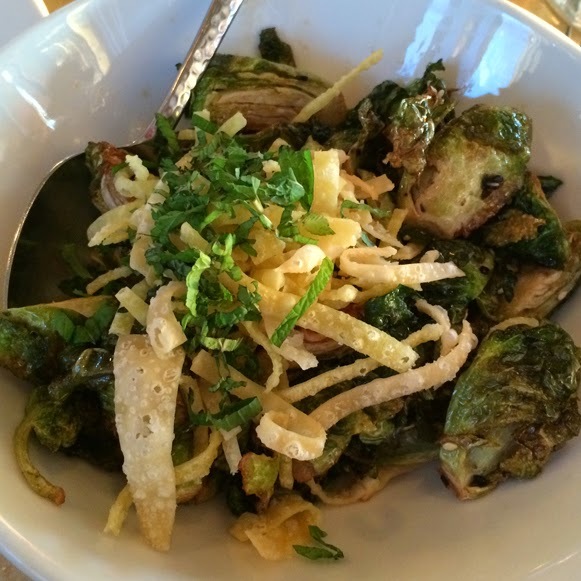 brussels sprouts are so damn trendy right now ... no surprise they were on this menu. the mint added an unexpected, but really really great flavor. all in all, delicious! mala is definitely a must stop at any vegans traveling in maui. highly recommended!